hose lucky enough to score a “miracle” ticket to the Fare Thee Well concerts this summer were treated to some potent psychedelic jams during the shows’ intermissions. The mysterious group behind those freewheeling tunes was Circles Around the Sun, a band convened by guitarist Neal Casal specifically for the project. In addition, a 180-gram vinyl version on two LPs will be available on the same day as a limited edition of 5,000 copies as part of Record Store Day’s Black Friday event. And finally, three CDs featuring all the music heard in Chicago will be included in the complete versions of Fare Thee Well, which will be available as 12-CD/7-Blu-ray and 12-CD/7-DVD sets exclusively from dead.net on November 20. The project began when Casal was asked by video director Justin Kreutzmann to compose and record more than five hours of original music to be played along with the visuals Kreutzmann was preparing for the Fare Thee Well intermissions. “The idea was to not only show reverence for the past but to ultimately, move it forward. If there’s anything to be learned from the Grateful Dead, it is to dissolve your boundaries, push your limits, and discover your own voice in this world,” explains Casal, the lead guitarist and co-songwriter for the Chris Robinson Brotherhood and part-time member of Phil Lesh & Friends. Casal was joined in the studio by keyboardist Adam MacDougall, a fellow member of Robinson’s Brotherhood and Lesh’s Friends. 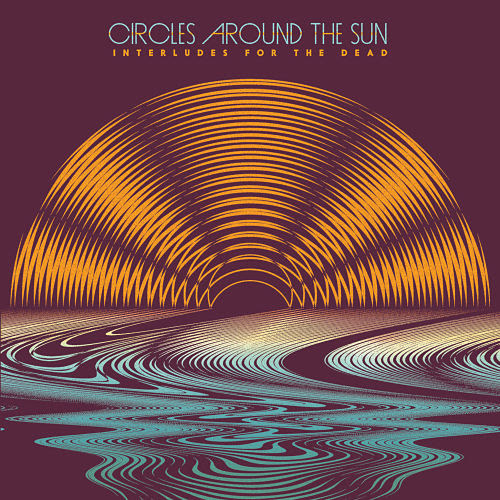 The balance of Circles Around The Sun consists of bassist Dan Horne (Beachwood Sparks, Jonathan Wilson) and drummer Mark Levy (The Congress). All of the music on INTERLUDES FOR THE DEAD was written collectively — with nothing prepared beforehand or added afterward — and recorded live by engineer J.P. Hesser.